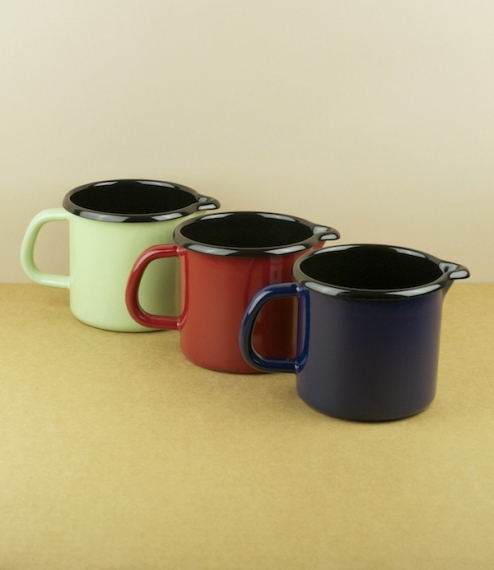 Blue, red, or pale green, black lined enamel jugs. 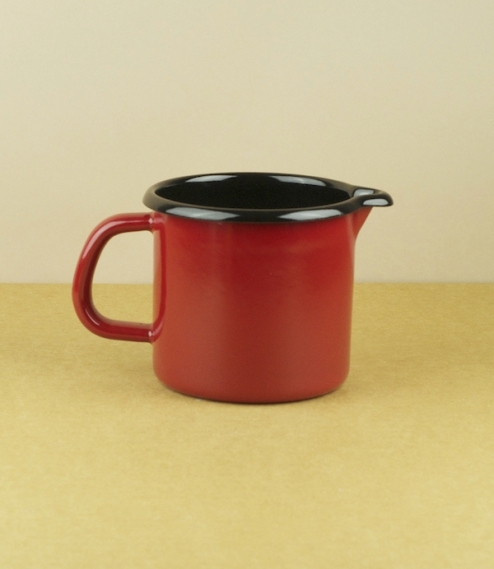 10cm diameter and ¾ litre capacity. 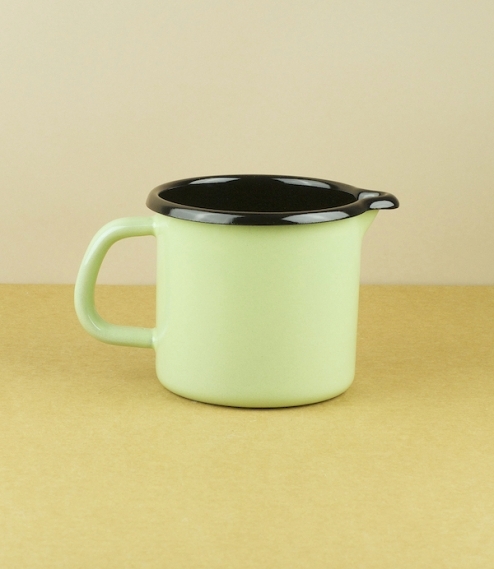 Ideal for warming and serving milk, hot chocolate, custard, sauces, and gravy. 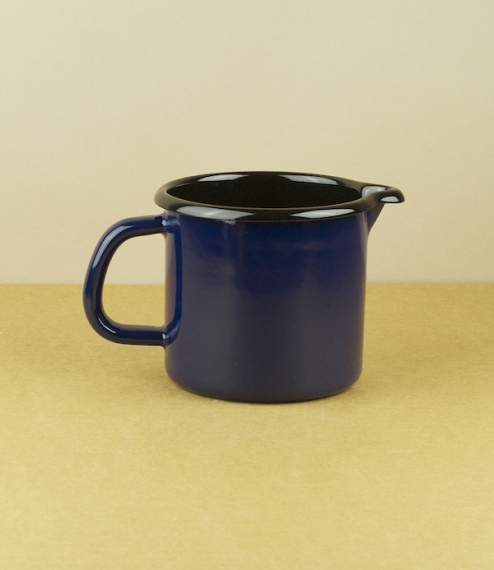 Made in the Austrian town of Ybbsitz in the hydro powered enamel workshops of Riess. Founded in the 16th century, this family run company provides a model for environmentally and socially sustainable industry.